Nowadays, the computer has become a universal tool and can be used in any context. Computers are a combination of a special working tool, typewriter, calculator, game machine, CD- and DVD-player and even TV set. It is possible to do almost everything using the computer. At the same time, it is not required to install particular Microsoft Windows for each task separately. You have the possibility to install and launch games; working and development tools; office and entertainment applications on a single Microsoft Windows workstation. However, in the event of all of these applications being launched simultaneously, the number of windows will be dramatically increased, and the switching from one application to another can make you crazy. Multi Screen Emulator for Windows (MSEW) helps to solve this problem, and arranges all these windows onto virtual screens to get rid off any disorder and chaos on your Windows desktop. MSEW creates up to eight virtual screens and each of them can be used for specific aims. For example, you can launch all working tools such as text editors, spreadsheets and engineering tools on the first screen; use the second one for launching games, and the third one to launch a slideshow or CD-player with pleasant music. The virtual screens can be switched off done by using the MSEW panel or by hot keys. Whether you or your company sells software or other products via the Internet, RegKeeper is a must have tool for you. It will supply you with the robust database-driven system for tracking electronic sales and will automate most of routine work with orders processing. RegKeeper is not attached to a single e-sales provider but can detect and process different orders, no matter are they issued by your own e-shop or any of third-party resellers such as ShareIt. or RegSoft. You may configure RegKeeper for automatic retrieval e-mail orders from a POP3 mail server on the regular base, as well as import orders virtually from any file. With RegKeeper your customers will never wait for response. 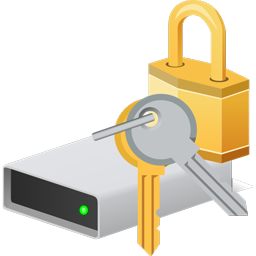 Once an order is received, the program composes and sends confirmation message (there is the possibility for automatic unlock key generation). It also provides convenient interface for sending newsletters to group of customers, for example, to notify them about product updates, patches, etc. RegKeeper will provide you with a variety of statistical information and detailed reports (by product, country, date, etc.) about sales of your products. As RegKeeper data is stored in the Microsoft Access database, you can easily import it to other Microsoft Office applications and use for creation charts, tables, presentations, etc. TSiBitBtn and TSiSpeedButton are buttons with animated glyphs. Localizing software for different international markets can double and even quadruple sales. This is why almost every software company considers localization a must. Yet, localization is both a complicated and expensive process. Luckily for Delphi, C++Builder, and Kylix developers, there is TsiLang Component Suite - the complete automatic localization solution. TsiLang Components Suite allows you to build your multilingual applications in two minutes. It makes the process of building multi-language applications so easy as writing "Hello World." application. There are no limitations for amount of languages. You can build bilingual or multilingual applications as you decide. Using TsiLang Components Suite you will be able to provide your user with ability to translate and adjust languages for your applications even without your assistance. There is possible to translate already created projects as well as new projects. Dictionary Manager tool included into delivery allows to share common translations dictionary between your projects and auto-translate functionality will translate your project by itself. SIL Editor application will allow you to provide your external translators with easy and convenient tool for editing/translating your user interface elements. TsiLang Components Suite allows you to build your multilingual applications in two minutes. It makes the process of building multilanguage applications so easy as writing "Hello World." application. There are no limitations for amount of languages. You can build bilingual or multilingual applications as you decide. Using TsiLang Components Suite you're allowed to provide your user with ability to translate and adjust languages for your applications even without your assistance. Dictionary Manager tool included into delivery allows to share common translations dictionary between your projects and auto-translate functionality will translate your project by itself. There is possible to translate already created projects as well as new projects.